Ellen (Ries) Davis is a registered dietitian (RD) and certified specialist in sports dietetics (CSSD) providing nutrition consultation in the Des Moines metro area as well as working with athletes and clients throughout the Midwest and UK. Her education includes a Bachelor of Science in Medical Dietetics from the University of Missouri – Columbia, where she completed the coordinated internship program. In May 2011 she earned a Certificate in Training in Adult Weight Management through the Academy of Nutrition and Dietetics. Ellen developed a passion for good health while competing on the track and cross country teams at the division 1 level for Mizzou. A special interest in sports nutrition was developed as she recognized the correlation between nutritious choices and optimal performances. As a 3-year team captain for the Tigers, Ellen earned several All-Big 12 athletic and academic honors. Although her collegiate career is far-gone, the competitive drive remains, now channeled towards helping her clients achieve their personal wellness and performance goals. Ellen continues to pursue her own fitness goals training and competing in various endurance events. 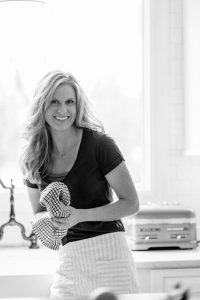 In addition to running, she enjoys biking, swimming, hiking, weight training, and checking out the newest local restaurants or micro-breweries with her husband, Patrick. Ellen strives to provide personalized care and attention to all of her clients and athletes. Understanding the benefits of optimal nutrition, an active lifestyle, and a healthy balance of hard work and fun make Ellen a great fit for those looking to improve the way they look and feel.